Consider Mediation of Your Trust, Estate, Will, Power of Attorney, or Family Business Dispute. Mediation uses a neutral third party to help those parties with a dispute to try to find an effective, simple and less expensive solution than the all out war of litigation. David Frees is an attorney with decades of trust, estate, and business experience who was first trained as a mediator and in alternative dispute resolution (ADR) while he was a student at the University of Pennsylvania Law School. David has written books and many articles on family communications, avoiding executor litigation, and related topics. 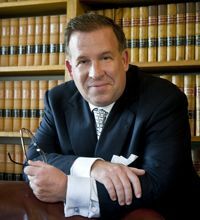 He currently teaches mediators across Pennsylvania in the very best techniques of mediation and he is available (by application) to act as a mediator in a limited number of estate, trust, and family disputes where the parties are attempting to avoid litigation. To apply to have David Frees as a mediator and to resolve your dispute without resort to the delays and expense of litigation, call 610-933-8069 and ask for a telephone conference with David Frees. If you are represented a call from your legal counsel is advised.